I would like some assistance in understanding why my P3 crashed. From what I can determine, the compass failed. Would anyone be able to assist with further info, why the battery indicated incorrectly ? You did indeed incur a compass issue, however this was not the cause of the crash. Once the aircraft switches to ATTI mode, there is no GPS Positioning. That said, the aircraft will maintain it’s altitude via the barometer and you still have full manual control. In this instance it appears that at ~117 seconds you may have lost a prop, Were all the props on the aircraft when you retrieved it? You were giving some up throttle but the aircraft was not responding. If it is possible for you to obtain the aircraft .dat log, we can get a better description of what occurred. These are not the correct .dat files. You need FLY674. Might be a bit. Have been having system issues today. Will look ASAP. sticks the aircraft began braking hard. 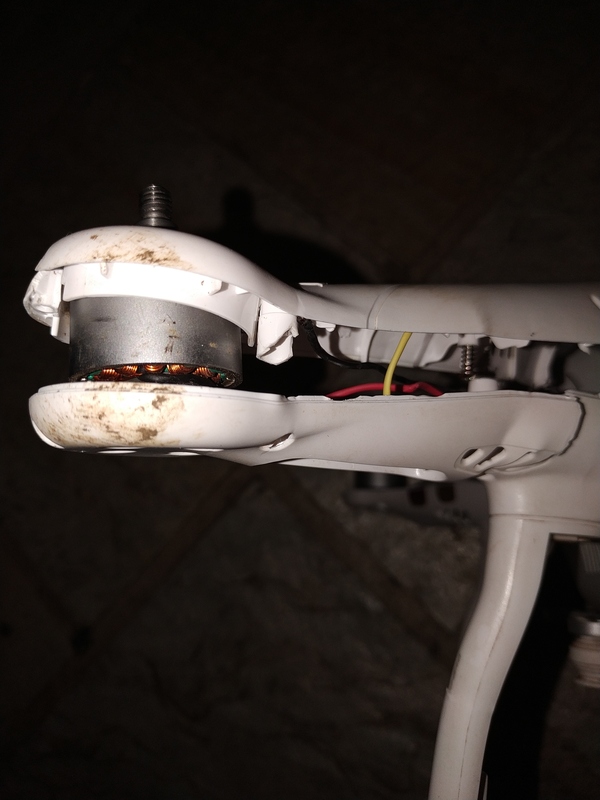 While the braking was ongoing you gave another Up throttle which caused the prop to stress snap while airborne and not in the crash as you suggested. The data makes sense for that and the fact that your full up throttle had no effect after the prop snapped. I reviewed FLY674. I’m not so sure it’s a propulsion issue. But, if it is then a leftBack motor obstruction makes the most sense. The leftBack started being commanded higher and drawing more current but the speed remained the same. The leftBack data is plotted in blue. Yes, I saw those. What was interesting was the PWM value going to 100 at ~115 seconds. 3 seconds before the large pitch deviation and it basically stayed at 100. Almost like the Left back was being commanded to max, but the motor did not get there. 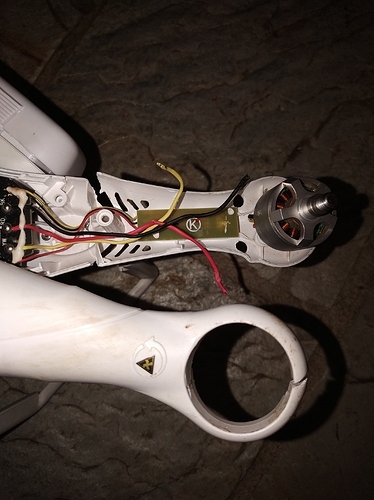 I still think it is a prop or motor issue of some sort, if not a broken prop then an obstruction is also possible. One would think though in either of those scenarios that “Not Enough Force” would go “True”. It did not in the .csv log file. Maybe @sar104 can find something we are not seeing. I stand corrected. That flag did go “True” I missed it previously. The reason I’m not so sure that it was a propulsion issue is because of this. In the top plot Yaw (red) turn CCW but magYaw (green) turns CW. The basis for the Yaw values can be seen in the lower plot where the gyroZ data is shown in blue. 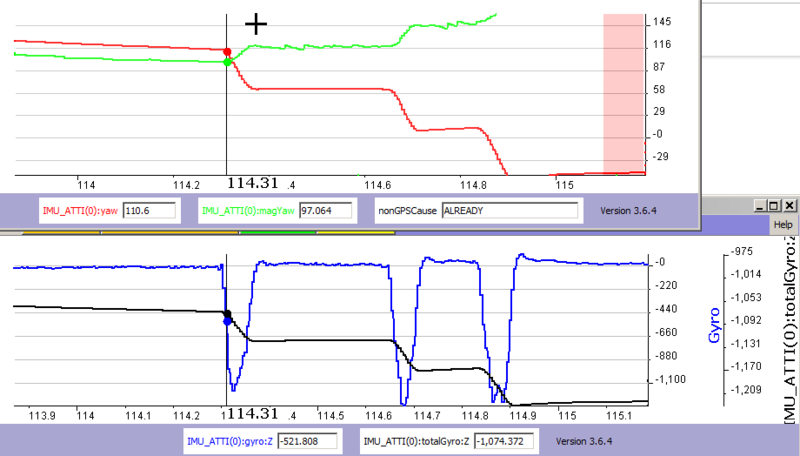 Motor data doesn’t vary in a way that would cause the gyroZ data. Either the mag data or the gyro data is incorrect. I would tend to think it’s the gyro data that’s incorrect, but I’m still thinking about it. @sar104 what do you think.There is also the accelerometer data with coincidental excursions. Rear left motor took all the force in the impact. This prop ( hub) was on, but the blades were smashed. I assume due to impact. Might be coincidental, but the left rear was mentioned above in @BudWalker post in relation to the motor data. Inconclusive at the moment. A close up photo of the left rear prop hub would also be useful. Did the prop sheer off at the hub itself? Or outside of the hub? According to the logs, your were recording at the time. Have you reviewed the footage and if so, could you share that as an additional clue? 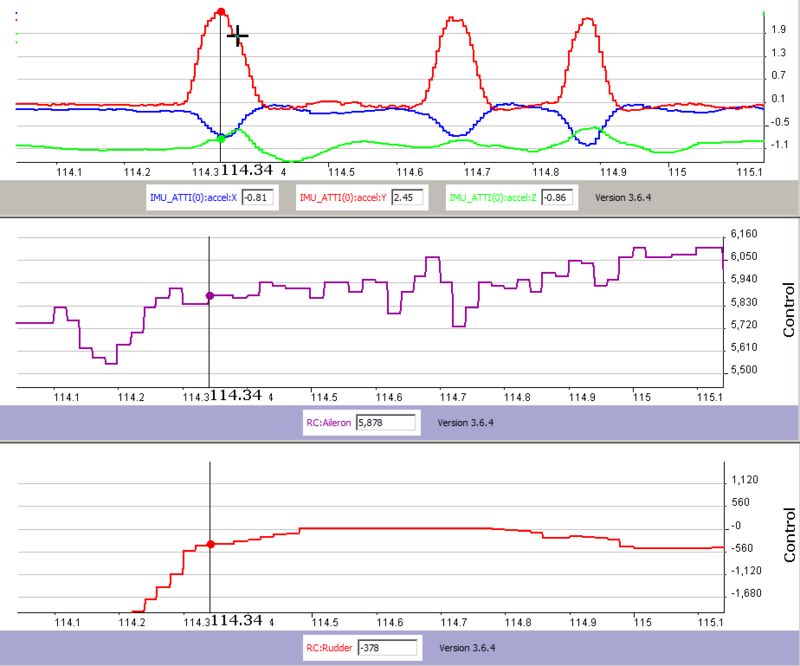 There doesn’t seem to be any relationship between the control inputs and the accelerometer data. I agree…it is odd but what isn’t at times. The point being that these occurred before compass issue and the incident itself. If there is a relationship between there, I do not see it. Maybe I am looking in the wrong place? 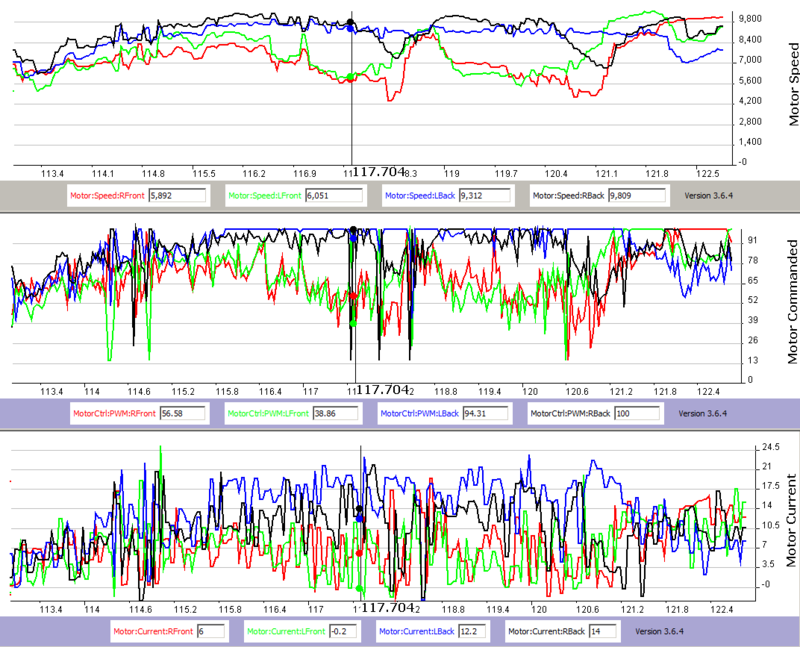 Then again, this is why I was always trained that you should have no less than 3 people to analyze data. Each may have different opinions, and each may offer their own inputs. At some point there will be consensus. I try and stick to that to this day for what that is worth. Completely agreed…but a compass error regardless of the cause should not cause an aircraft to react as this one did. Almost powerless ( Control wise ) to the ground. Directional, and control wise certainly, but not in the manner this aircraft went down. At least I have not seen an incident such, nor would I expect that. My point has nothing to do with the compass issue. I was merely stating that the accelorometer anomolies, were present prior to the compass issue and the incident, which was several seconds later. Just the manner I am looking at this data. That’s all. Ruling out all other possibilities as much as possible.